Influenza or the flu is a highly contagious ailment and it can also turn fatal on occasion. Thankfully, it can be prevented by implementing some simple tips. Even though the Center for Disease Control and Prevention (CDC) recommends vaccination as the best flu prevention method, it is not 100 % effective and needs to be supplemented by other preventive measures to protect oneself and others from this infection and control its spread. Covering your nose and mouth while sneezing or coughing is an important measure for flu prevention. 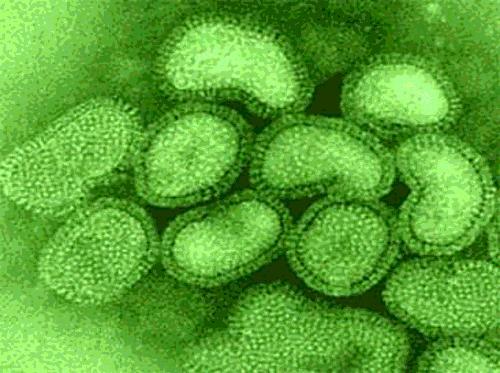 The influenza virus may remain alive outside the human body for 2 – 8 hours and and it is usually transmitted through the hands or the nose of an infected person. 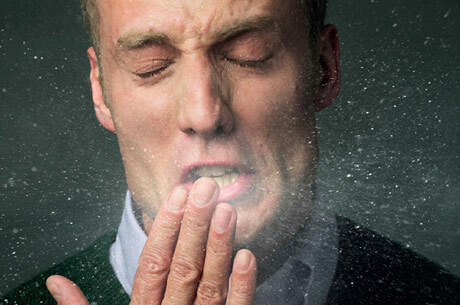 This happens either when a patient releases infectious viruses to the surroundings while sneezing or coughing, or touches a door knob or any other objects with his hands after they have been infected by the influenza virus. When a healthy individual comes in contact with the contaminated object, he may obtain the infection. For this reason, it is critical to wash hands frequently and rigorously for up to 15 seconds, with soap and water or alcohol based hand sanitizers. Always avoid touching your nose, mouth, or your eyes without washing your hands properly. Influenza spreads through air, so you must always cover your nose and mouth while sneezing or coughing so as to prevent the influenza virus from being transmitted to your surroundings through respiratory droplets. You can also use tissues instead, but ensure that tissues once used must be properly disposed. 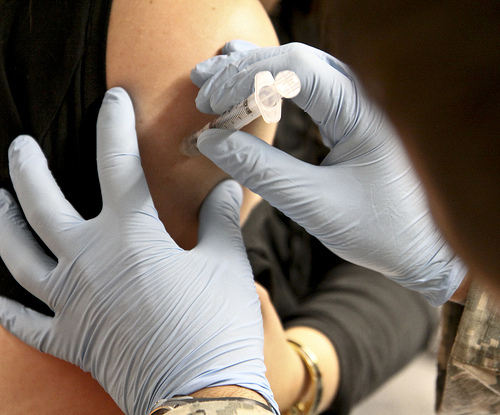 The most important measure in flu prevention is getting the flu vaccine administered. The flu vaccine can be taken by adults, and children older than 6 months. 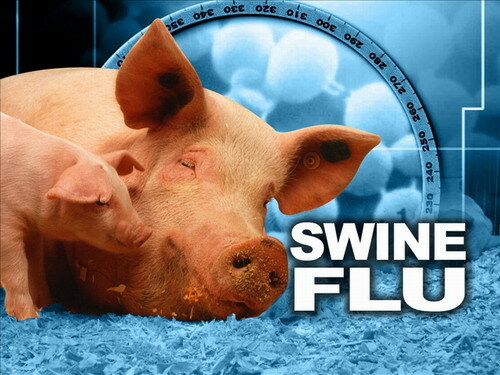 The vaccine is available as an injection (flu shot) and as a nasal spray (flu mist). 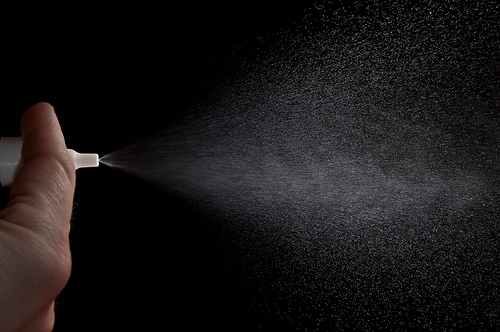 The nasal spray vaccine can be taken by children older than 5 years, adolescents, and adults younger than 49 years of age. The annual flu vaccine is the best method for the prevention of flu, but it is not 100% effective. These people who belong to the high risk group should receive the flu vaccination to reduce the severity of complications in case they do contract the flu. Influenza viruses are subjected to high mutation rates (change structure frequently) and as a result, no vaccine can give long lasting protection from them. 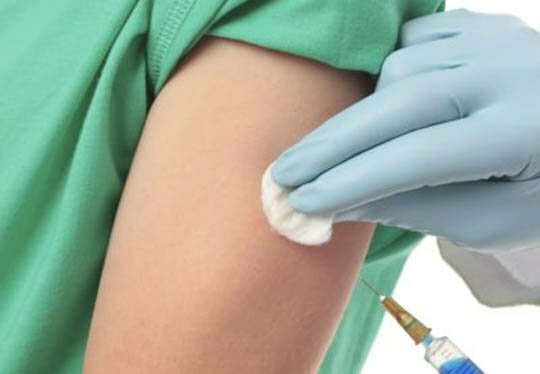 The World Health Organization formulates the flu vaccine every year depending upon the specific strain that is circulating during the flu season. Influenza is highly contagious and spreads easily from person to person. According to CDC, once you catch the flu, you must stay at home till you get well or for at least 24 hours till your fever has subsided without the help of antipyretics (fever reducing medicines). If children have influenza, they must not be sent to school to prevent the spread of the infection. Adults should also stay back from work if they have the flu. It is better for you to avoid crowded places like public gatherings or public transport during peak flu season to lessen the chances of acquiring the infection. Avoid close contact with individuals infected with influenza as it increases the risk of acquiring flu. Isolating flu patients reduces the risk of the transmission of the disease, both in hospitals and at home. 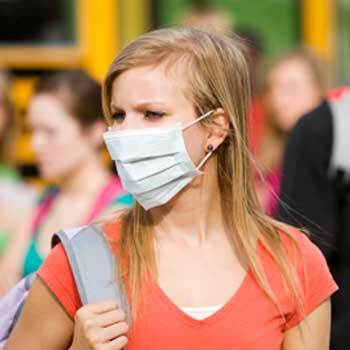 If coming in contact with an infected individual is inevitable, ensure that you wear a mask of some sort. Drugs are also available for flu prevention. If you’re a health care worker or a caretaker who is in constant contact with flu patients, or a laboratory personnel who deals with flu samples routinely, it is recommended that you take preventive medication. This ensures that your chances of getting the influenza infection are lowered. None of the medicines give long term protection from influenza, but they help in preventing the infection in 70 – 90 % of cases. Preventive medication also helps in preventing flu complications. 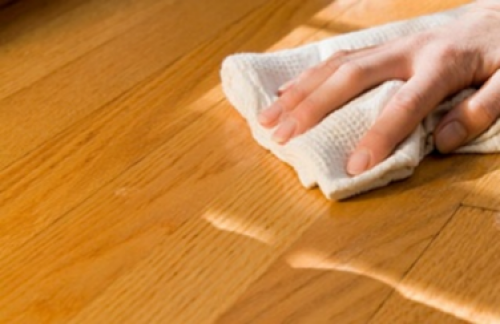 Cleaning surfaces with a disinfectant is an important measure for cold and flu prevention. By following these flu prevention measures, you decrease your chances of being attacked by the flu virus. As influenza is quite infectious and sometimes fatal, your best bet is to prevent the condition instead of fighting its complications at a later date. Flu is generally a self-limiting illness and subsides on its own if you take proper rest and drink lots of fluids. But if your flu is caused by a virus that you have no prior immunity towards, you may need to undergo influenza treatment through anti-viral agents (drugs used to treat viral infections). The Centre for Disease Control and Prevention (CDC) has recommended the Food and Drug Administration (FDA) approved drugs Oseltamivir and Zanamivir for influenza treatment. These drugs can also be taken to prevent influenza too. Influenza treatment through these drugs should be started within 48 hours of infection for a better clinical outcome. It is ideal to start the treatment as early as possible, and in some cases, doctors recommend the same even without waiting for laboratory confirmation of the disease. These three drugs are recommended for influenza treatment. These are the primary anti-viral agents recommended to combat influenza and are active against Influenza A and B type viruses. 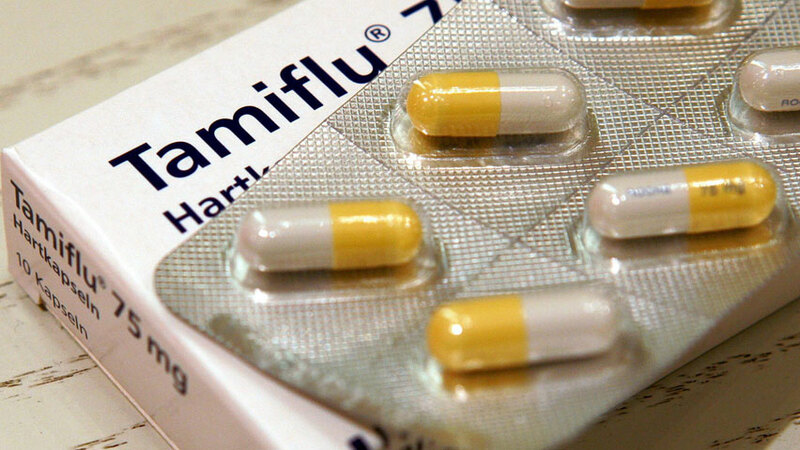 Your physician is likely to prescribe influenza treatment medication like Tamiflu to counter the disease. The influenza viruses that predominantly cause the disease today don’t have much resistance against these agents. However, there have been reports of Oseltamivir resistance in rare cases and such resistance is common among immuno-suppressed individuals. Tamiflu is available in the form of capsules (30 mg, 45 mg and 70 mg) and liquid suspensions. It can be taken by children aged 2 years and older. Zanamivir is not recommended for people with airway diseases such as asthma or chronic obstructive pulmonary disease, and it is available in the form of an inhaler. Zanamivir can be taken by children aged 7 years old and adults. Anti-viral medicines are to be taken for five days, and a longer duration may be required for people who are severely ill. Note: The World Health Organization (WHO) has not approved use of Oseltamivir for children who are younger than 2 years of age. The dose mentioned here is authorized for emergency use. The recommended dosage for this medication is 2 inhalations of 10 mg, twice a day, for children who are 7 years and above, and adults. There are two drugs under this class. These drugs are active only against Influenza type A. Reports of widespread resistance for these drugs among Influenza H3N2 and 2009 H1N1 strains have also surfaced, and for this reason, they are not recommended for the currently circulating influenza strains. 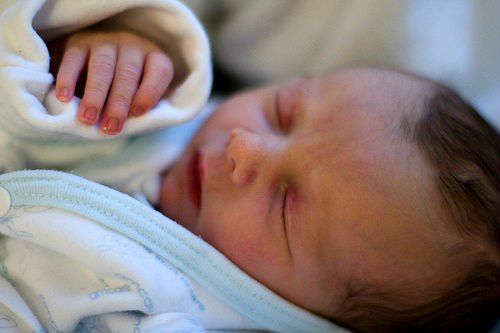 The FDA approved dosage of Amantadine for children aged 1-9 yrs is 4.4 – 8.8 mg/kg per day. For children aged 10 years and older, the recommended dosage is 200 mg per day (100 mg twice a day). Nausea and vomiting are the most common side effects of taking Tamiflu. In rare cases, transient neuropsychiatric changes like self-injury or delirium are also reported. Zanamivir causes headache, dizziness, nausea, diarrhea, sinusitis, ear, nose and throat infections, bronchitis, and cough. It also causes allergic manifestations like oropharangeal or facial swelling. Who Should Be Given Anti-flu Medications? These are some of the factors that dictate the course of treatment to be adopted. 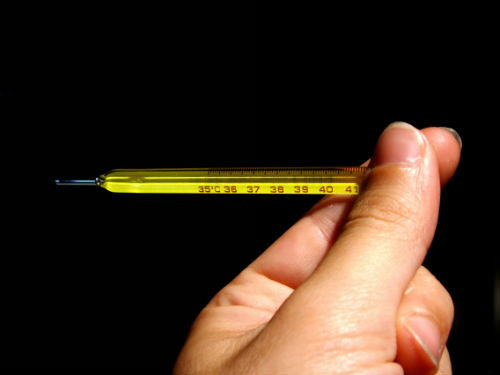 The fever and body pain associated with influenza can be relieved by pain killers. Pneumonia due to secondary bacterial infection can be treated with antibiotics. Decongestants can reduce discomfort from sinuses, ear infection, and nasal congestion. Gargling a 1:1 ratio of warm water and salt is the best home remedy for sore-throat. Taking anti-histamines helps reduce running nose, and itchy and watery eyes. It is extremely important to share your medical history with the doctor before trying out the medications for influenza. Underlying medical conditions, pregnancy, old or young age, and allergy to the prescribed drug are some of the factors that influence the outcome of the clinical situation. It is also equally important to take plenty of rest, drink lots of fluids, maintain a balanced diet and stay completely fit during the course of your influenza treatment. Influenza vaccine side effects are quite mild as the vaccines have a good track record for safety. These side effects can be resolved quickly and without extensive treatment too, as they cause serious repercussions only in very rare cases. Learning about such influenza vaccine side effects can help you be prepared for what you might face. If you observe any of these signs, consult a doctor immediately, as they indicate a need for serious medical attention. Be extremely careful before taking the flu vaccine. 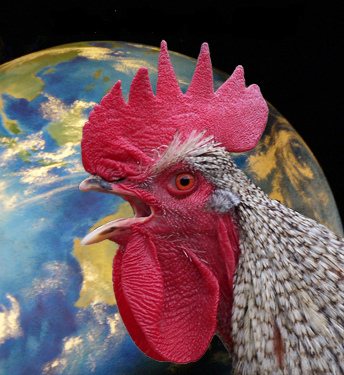 People who have a prior history of adverse reactions towards the influenza vaccine or people who are allergic to the vaccine’s components (like eggs) should avoid the influenza vaccine. 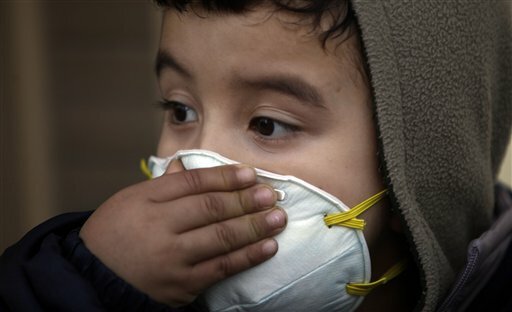 Also, the injectable flu vaccine must not be administered to children younger than 6 months of age, and the nasal spray flu vaccine is not recommended for children below two years of age. 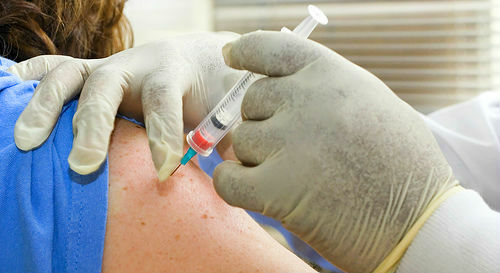 It is also important for clinicians to follow the right technique while administering the flu vaccine. Any adverse reaction caused by the flu vaccine should be reported to the Vaccine Adverse Event Reporting System (VAERS), a surveillance system co-sponsored by the Center for Disease Control and Prevention. It must also be reported to the Food and Drug Administration, which monitors vaccine safety and helps in further investigating the harmful side effect. Individuals who have had an adverse reaction following the process of vaccination are entitled to compensation from the Vaccine Injury Compensation Program (VICP), which is a federal program. It is important to note that there is no substance behind the myth that a person can contract the flu through the flu vaccine. This is because the viruses used in the preparation of the vaccine are inactive and cannot multiply in the lungs or cause an infection. If you are planning to protect yourself against influenza, being aware of the influenza vaccine side effects can turn out to be highly useful.